First grade students at MJDS work together to program a robot. 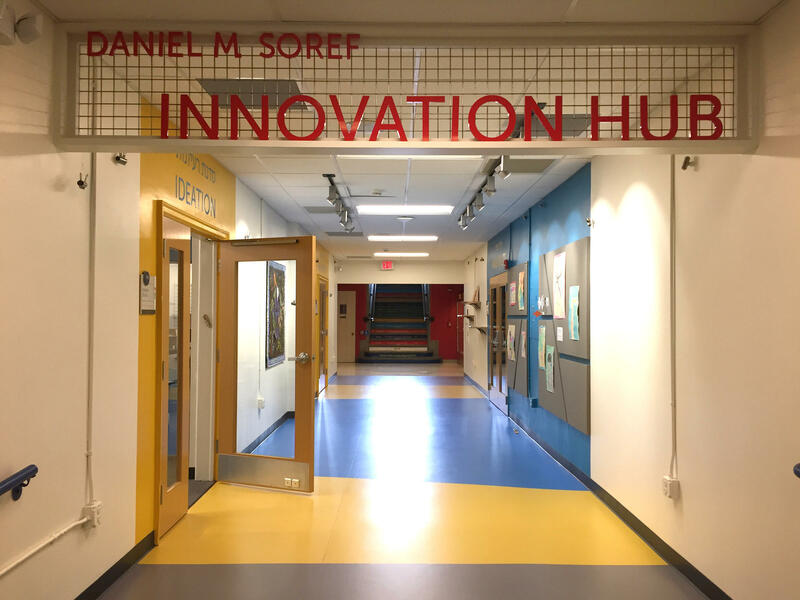 Every class at the school spends time in the building's "Innovation Hub" during the week. 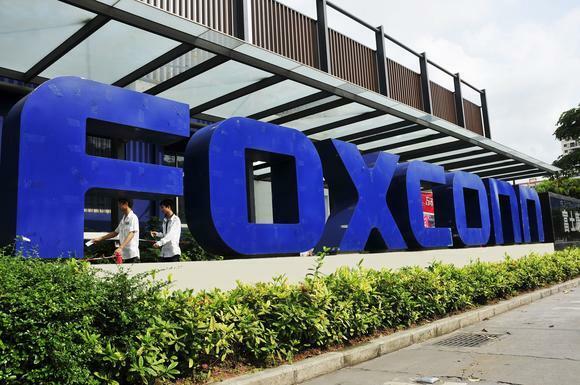 The manufacturing giant Foxconn announced plans this summer to open its first U.S. facility right here in southeastern Wisconsin, and leaders involved in making that deal, say it could create more than 13,000 jobs in the region. But what those jobs will look like exactly is yet to be determined. So school leaders are rolling up their sleeves. "Efficient applying of workers...has to do with understanding what the employers need." Morna Foy, president of the Wisconsin Technical College System, addressed Foxconn at a legislative committee hearing back in August. She told lawmakers that she and a lot of her colleagues are excited about the potential opportunities the Taiwanese electronics manufacturer will present for her students – namely, employment. And, she added, it’s up to schools to arm students with whatever skills they might need to land those coveted jobs, whatever they may be. That kind of preparation is not just a job for higher ed. In recent years, some K-12 schools have started rethinking how they teach kids skills that will one day translate into a college major and later, a career -- regardless of whether that degree, or that job title, exists yet. Welcome to the "Ideation room." It’s there you’ll find two dry-erase wall borders, a SmartBoard and a yellow corkboard with student art scattered about. Today, a rambunctious group of first grade students piles into the space. A variety of chairs and cushions are scattered around the edges, but most of the kids opt to sit on their hands and knees on the floor, so they can be closer to the action. MJDS first graders watch to see if they correctly programmed their robot. The five- and six-year-olds are programming motorized robots -- six-inch, clear plastic ladybugs with wheels on the bottom, and buttons on top the kids can press to program every move. The goal: to correctly direct the robot from point A to point B on a game board the teachers have drawn using good old-fashioned paper and marker. “It’s going to work…” says one boy, tentatively, as the bug crawls its way toward the finish marker. The small machine rolls slowly to a stop, right atop the intended target, and beeps three times. “Yay! It worked!” the duo shouts, received by a smile and a clap from their teacher, Courtney Clyde. MJDS Innovation Facilitator Courtney Clyde works with a group of first graders in the Ideation Room. Clyde is one of two instructors in charge in this wing at MJDS. She has the totally awesome title of “innovation facilitator,” and says her goal with every class is getting the kids to practice self-direction through hands-on learning. “Even though we don’t necessarily know what the jobs look like, they’ll be able to take that knowledge and transfer it into whatever that job looks like,” Clyde explains. "Be a facilitator of a student's learning, as opposed to the gatekeeper of knowledge." The Innovation Hub setup was made possible with philanthropic dollars. But MJDS’ head of school Aaron Lippman says the kind of learning happening here is possible without all the bells and whistles. Lippman says the classroom is shifting to meet what we’re expecting the kids to need, as they grow up – skills like problem-solving, and collaboration that will be applicable regardless of the kind of job they get in the future. "Sitting in rows of desks in your English class does't necessarily get you there." That first grade class working with their robots is a little young to really know what they want to do when they grow up. And who knows – their options may look completely different by the time they need to make those decisions. In the meantime, they can build up the skills they’ll need for any potential future career -- and have fun doing it. Have a question about education you'd like Rachel to dig into? Submit below. 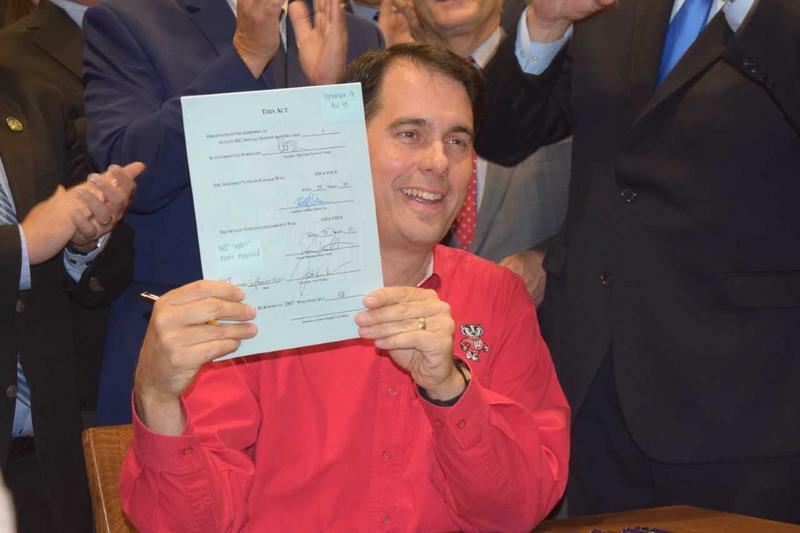 Pieces of this audio were provided courtesy of WisconsinEye.